An ex-MOE lecturer, Mr Anthony Fok has more than 10 years of teaching experience. He has always had a passion for assisting students in their studies and helping them to unleash their potential. 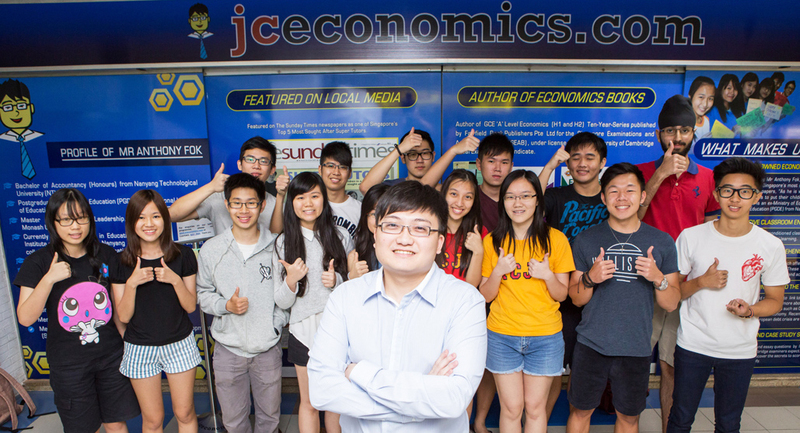 From a small tuition centre, JC Economics Tuition Centre has expanded in scale under Mr Anthony Fok, due to his effective teaching and consequent word-of-mouth reviews. that the secret to scoring in Economics exams is simple. Learning is not a spectator sport. So long as students get to ‘doing’, they will learn, quickly and effectively. His job is to guide these students to attempt questions using methods that will maximize their learning. Through practice, students uncover what they know, and what they do not. Through practice, students become familiar and comfortable with what they are expected to do at the real examinations. Mr Anthony Fok believes that nine-tenth of education is encouragement. He wants to empower his students to believe in their own abilities, to achieve their full potential and beyond. Contact us at 8251 3684 to find out more about our lessons and schedules!